Join SLM for Painting with a Purpose 2019! <——— You’ll be painting this! In their ongoing commitment to give back to the Missoula community, Painting with a Twist® proudly sponsors a monthly fund raising event – Painting with a Purpose. 50% of the proceeds from Painting with a Purpose event and 100% of the art auction proceeds are donated to local non-profit organizations that are hosted in studio. 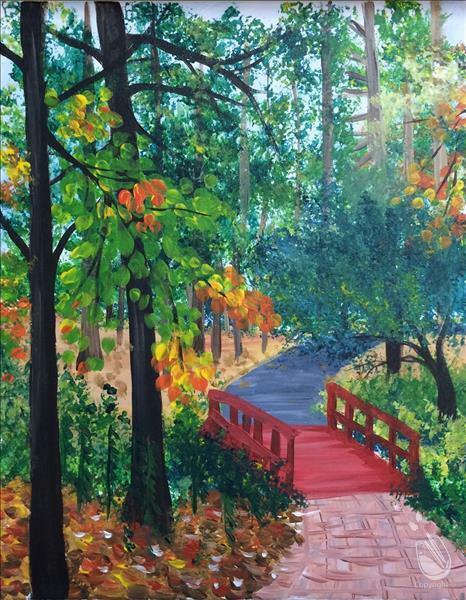 The process is simple: register for the class and come in and paint! Help support Soft Landing while having a blast with family and friends. It's fun art, not fine art! And don’t worry about your painting skill level, their talented team of local artists will guide you step by step through the session's featured painting. They provide all painting supplies and no art experience is needed. Just be ready to have a blast! If you’re coming with others, but making reservations separately, give them your group’s name in the Special Request box. They will seat you together!